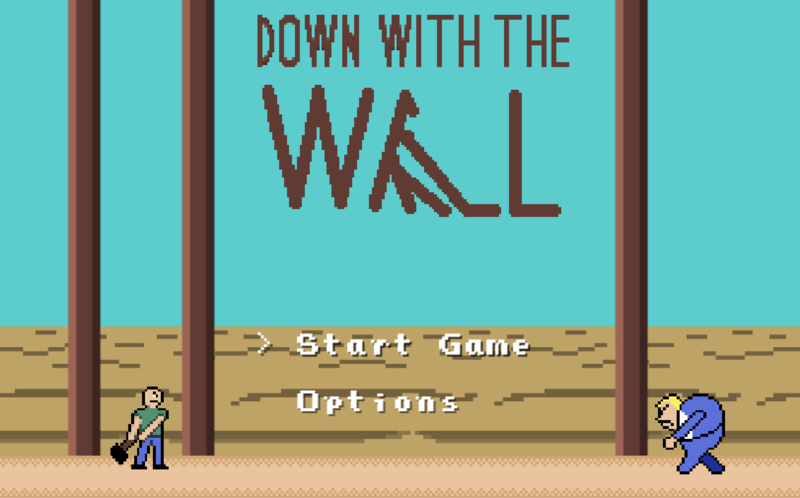 Anti-fascist Game Jam - Game Jam Antifasciste - Game Jam Antifascista community · Created a new topic Game for the Month - Down With the Wall! Hey guys! Wanted to give a sneak peek of a screenshot of the game I'm developing! I have a working product, and look to keep improving it throughout the remaining time available. Very well done! The controls feel great, the puzzles are engaging, and the overall visual design is wonderful! Nice work! Great job! I enjoyed this game! Only issue I had was on the last level the Z and X controls kept confusing me. Quite a bit for a week of work! It's pretty fun! The art work is great, and the sounds is impressive! My main suggestion is to try to get all the commands on the keyboard. It's a little hard on mac to click the left and right mouse buttons due to the arrangement of the keyboard and trackpad. Other than that, I think you should continue with this. It can make for a solid title! This is a really good game, especially for a game made in a week. The music is solid, the art work is colorful, and for the most part the controls work pretty well. There were a few times the controls got stuck, and wouldn't let me jump when I wanted it to. Felt randomized when that happened, but it did make some of the quick jumps difficult to nail. Also, I think little night would benefit from a larger attack radius. Instead of doing a jab, I think doing a swipe where it also hits enemies above would help in the game. That would make the difficulty feel just right. While these issues got in the way a few times, it didn't happen a whole lot, and definitely didn't take away from how fun the game is. Nice work! I would recommend having a way to skip past the opening scene. Also, some of the platforms aren't colliding with my character, causing a fall through. It makes it hard to see the objective of the level. Other than that, the controls function nice, and I do like the artistic style. It made me think of the platformers you would see on early CD games! Not bad! I can see it as having promise. For the platform controls, I felt the character moved a little fast. I'd also probably stick to the arrow keys, and also allow the ability to jump and whip at the same time. Go forward with it! I think it can be fun! Nice job! I wasn't sure what to expect, but then the story suddenly became very spicy! Never underestimate what choose your own adventures can do! This is a game that definitely has a lot of thought put into it. My main complaint is the opening speed. It feels like it goes way too fast too early. IMO, I'd say lasting at least a minute or so in an open runner is a good goal. Otherwise, the concept is funny, the controls are fluid, the sounds are great, and the artwork is also great. Nice job!